Not always easy, making way for the positive. What else have we got, though? If we live in the alternative, what wakes us up? Right. Who can listen to Bob Marley and not sway side to side to the Rastaman Vibration? Jah. 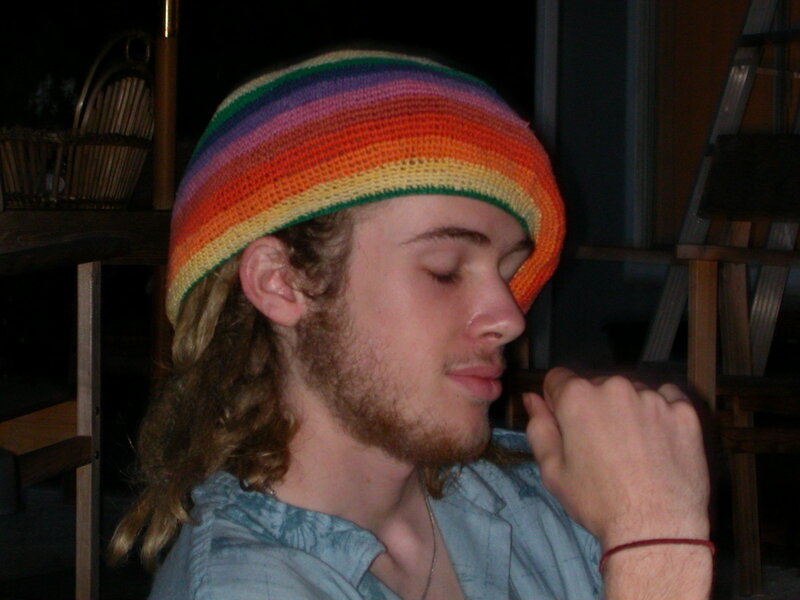 Owen went through a Marley phase when he was 15 and 16, while we were living in San Diego. This was a fun period of his life. He was full of hope and excitement – he began college at 16 and finally felt like he was in his element. He took classes in German, philosophy, guitar, piano, and musical composition. He loved it. He met Lauren. She was a 16-year-old college student, too. They were sweet and young. They were a couple. She brought him beads and special strings to weave into his dreadlocks. And, there was always music in our house during those days. Marley and more. Owen cooked his own meals during this time. He had learned to cook when he was 15 and working at Cafe Zia, his first job. He walked to work most days, walked home, and began his evening’s meal preparations. Mostly vegetarian, tofu became a main ingredient, and an occasional piece of chicken made its way into his creations. Kahlid, his boss, was a good teacher, and Owen liked working for him. When school began, Owen left Cafe Zia, but kept on cooking. No matter what difficulties found Owen, or those he created, he made every effort to make way for the positive. That way was sometimes hard, and he spent plenty of time contemplating who and what might be a roadblock, including his own sense of destiny. He searched and researched, read everything he could find, fought trends popular to his peers, and sometimes succumbed to the inevitable pressures of his age. And, when he laughed, the positive vibrations infected us all. ~ by Linda on May 22, 2008. I love the hat. It says it all. Can even hear Owen’s infectious laughter. Keep up with the positive vibrations, Owen expects nothing less. Still always praying for you both. Take care. Linda, this post was so touching. You really captured something here that shows us your son. I could relate to his finding college a freeing place — it was such for me, too, after all the bs of high school. I love how you share with us and let us enjoy Owen, too. Thank you! Linda, Its a hard time of year, and Ive been thinking about you guys and Owen a lot. Everything feels very surreal, to say the least. Hope youre okay.